Since you have no oversight, or check on your powers, and are effectively the Supreme Law of the Land I realize I must confess my sins to you BEFORE you come to my house with 29 FBI agents, 17 vehicles, watercraft, and a helicopter as you did to Roger Stone on the morning of January 25, 2019. According to my email records I sent the following email to a person I will call Tony*, a New York publisher on February 4, 2017. Thanks so much. 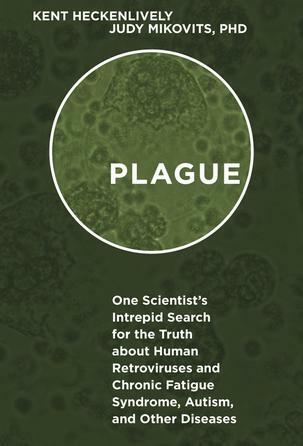 Susan Randol sent me the paperback version of PLAGUE which arrived yesterday and it looks great. After Coast to Coast and Deirdre Imus, as well as a big article in Autism File magazine this month, I’ve set my sights on Alex Jones and Infowars. I’ve been calling and leaving messages with them every day for about a month and haven’t yet talked to an actual human being. I want to contact Jones to get Judy Mikovits on the show to hype PLAGUE, as well as myself to talk about PLAGUE, but also INOCULATED. I think this is the best choice for our community to get the information about Thompson out to an audience who will not only be receptive to our message of the need for change, but also buy the book(s), then get LOUD! I understand that this might be a big favor (for which I would feel deeply indebted to you) or perhaps a small favor (for which I would feel shallowly indebted), but in this rebel cause I believe it is a good strategy to chalk up a win for our side. I have received no further information from Tony* on this question. … the henchman for evil Russian leader, Vladimir Putin. In January of 2018 I appeared on a radio show called Declare Your Independence with Ernest Hancock – The Flame of Phoenix! The producer told me they’d recently had Roger Stone on the show and I asked for his contact information. She gave it to me and I made inquiries, but nothing came of it. Dear Grand-Inquisitor Mueller, I must let you know I made one other attempt, calling into Roger Stone’s show on InfoWars in January of 2019. I was actually put on hold, placed in the line to ask a question, but when the show ended, I was cut-off! Foiled again in my quest to do evil! …because even though I have attempted to contact the arch-villain, Roger Stone and his evil handler, Vladimir Putin, I have not yet been able to do so. But I have more crimes to confess with people named Stone and Vladimir Putin. Hi Kent, my name is Sean Stone and I co-host a news show on RT called Watching the Hawks. We’d be interested in having you for an interview about your book, PLAGUE. If you’d be open to doing it, where are you based? Dear Grand-Inquisitor, I think you should know that Roger Stone has also interviewed with Sean Stone. And to make it even more confusing, Roger Stone and Oliver Stone are also friends, despite their political differences. I think the Vladimir Putin cabal of wickedness and villainy becomes even tighter. I took this opportunity and visited the RT studios in Los Angeles and was interviewed by Sean Stone. It seems that Vladimir Putin must HATE ME! I do not know why, as I am only working on behalf of the fraternal solidarity of all people. I was just trying to protect Russian AND American children from vaccine injury! …I have attempted to hold discussions with Stones of the right and the left, even though I now know every side is secretly controlled by Vladimir Putin. Which raises a question in my mind, dear Grand-Inquisitor, Mueller. How do I know, in talking to you, and making my confession that I am not also making my confession to . . . Vladimir Putin? When I go to pump up my gas . . . am I giving my money to Vladimir Putin? Russia sells gas and I am buying gas, so I must be putting money into his pocket. Oh, how difficult it is not to betray your country!!! ,…channeling the spirit of Vladimir Putin in your reckless exercise of supreme power, please do not raid my house! It is a Nation of White People? I think there is another reason why the left in the US likes to falsely accuse patriotic Americans of “Russian collusion” (What crime is that, anyway?). When I look at Vladimir Putin I see someone that appears GENUINE. I am pretty sure that he’d be willing to bomb a hospital if it was filled with enemies to his country, so I’m not saying he’s nice or compassionate. What I am saying is that he is clearly leader of RUSSIA. When Obama was in office I could not stand to look at him or listen to him. He harmed his friends and helped his enemies. He somehow got elected President, but he did not represent the interests of godly Americans and more and more evidence suggests he was a traitor. When Donald Trump was elected President, I felt for the first time in years that Americans had their own representative (however imperfect) in office. The left projects their own traitorous anti-American sentiment upon loyal citizens who recognize true leaders when we see them. BTW, I think more Americans need to be informed about what is going on in Russia. I think if we understood better how the fall of the Soviet Union has created conditions in Russia that are in many ways BETTER than those here, it would inspire us to start “swamp draining” much faster. Thanks, Kent. One of your best. What I think is that Mueller is secretly a part of the Hillary/Bill/Putin cabal that dreams of controlling all human, animal, and plant life on Earth (sorry microbes, you’re not big enough to matter).